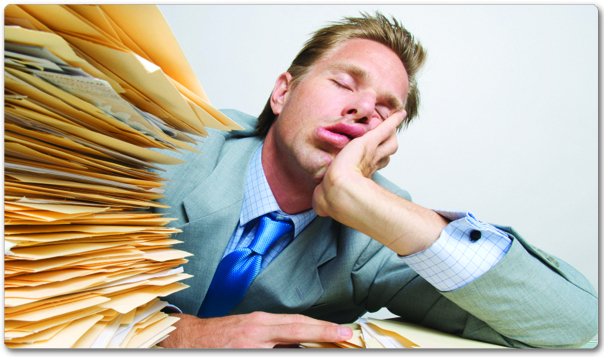 Okay…so setting up your file folders doesn’t give you an adrenalin rush. But, it’s better than watching paint dry. And, you’ll certainly appreciate having done it every time you try to find what information you have on a specific ancestor. So, buck up, show some backbone, and get it done!!! Step 1 — Buy a box of file folders and a pack of labels. Step 2 — Fill out your Pedigree Chart as far back as you can. 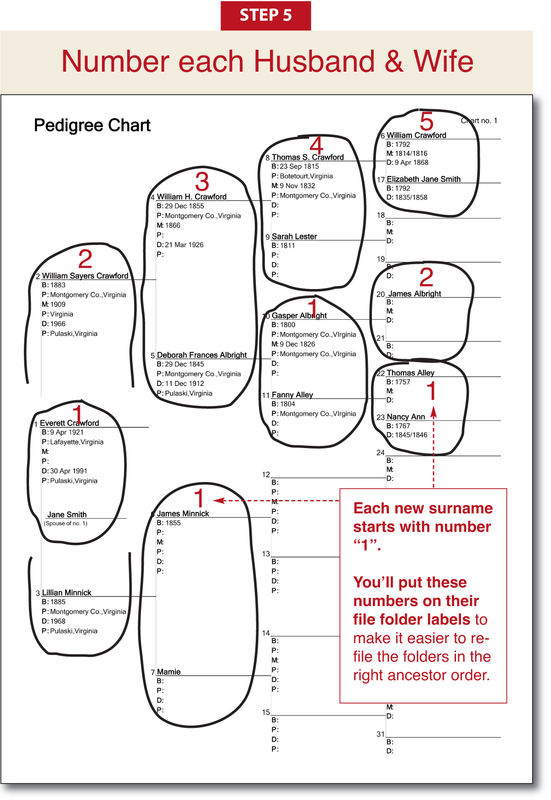 Step 3 — Make a xerox copy (or print an extra copy) of your Pedigree Chart to mark up. Step 4 — Circle each husband and wife on your Pedigree Chart. 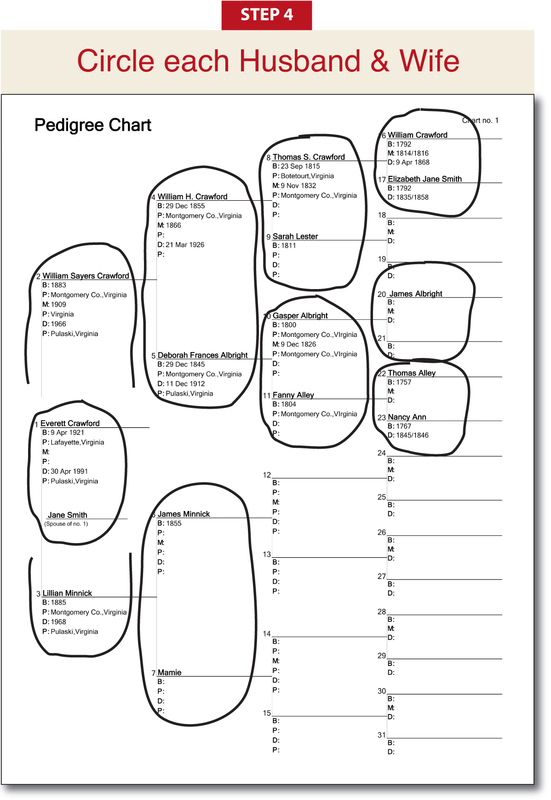 Step 5 — Number the families on your Pedigree Chart—each new surname starts with #1 and goes back from there…#2, #3, #4, etc. 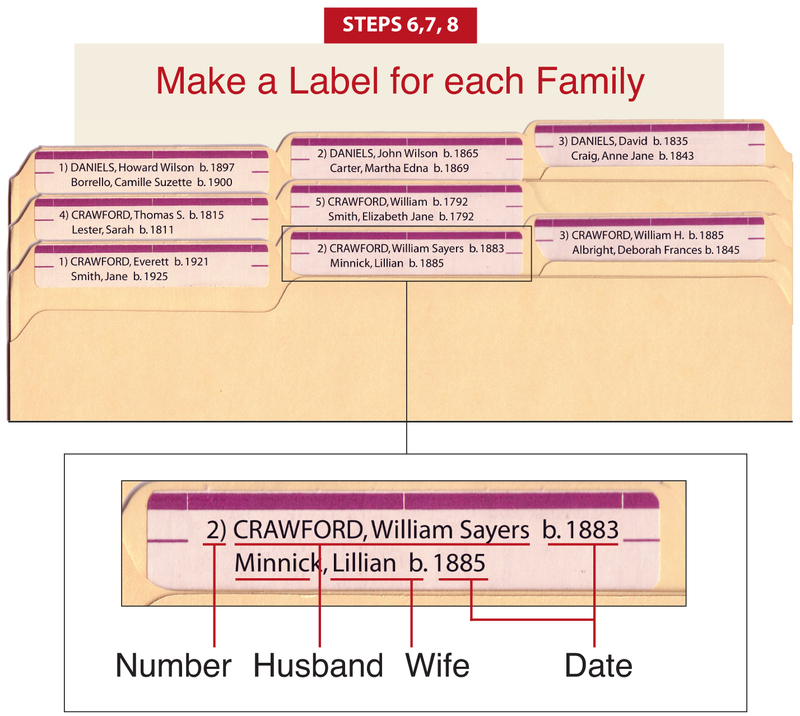 Step 6 — Neatly write or print one label for each family you circled on your Pedigree Chart. Step 7 — Put the labels on your file folders — the first ancestor with each surname always starts on the Left Tab of the file folder. Step 8 — Put the folders in alphabetical order by family surnames — i.e., Crawford first…then Daniels…etc.